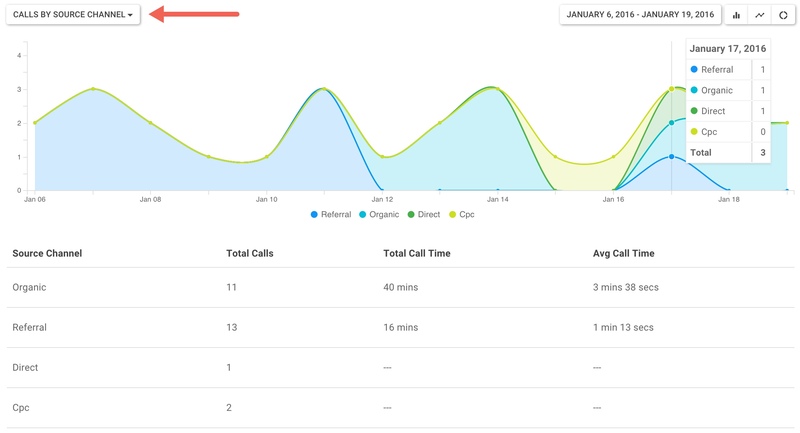 To get an overview of your incoming phone call activity, the Calls by Tracker report does just that and maybe a little more. This report summarizes your calls by tracker that you have setup inside your account. 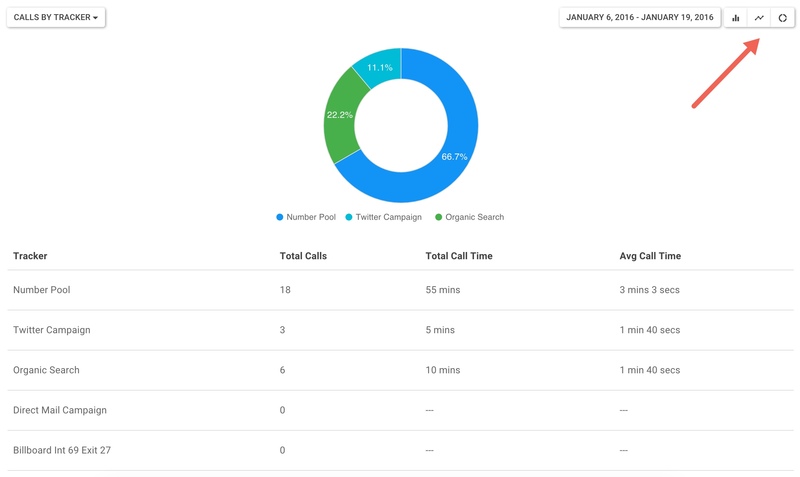 Tip The Calls by Source Channel Report is designed to help digital marketers see what source channels are converting the most phone calls on their site. To access this report, click Reports in the navigation bar. Once in the Reports section, click the report title in the upper left of the screen to reveal a dropdown with all of the reports available, select Calls by Source Channel. Stacked Bar Chart - Great for seeing trends over time. Area Line Chart - similar to a stacked bar chart, shows trends over time very well. Donut - great for summarizing data and seeing portional variances. In many cases it might be useful to change the date range for the data you want to see. For example, you might want to see calls over the last 6 months or the last year. 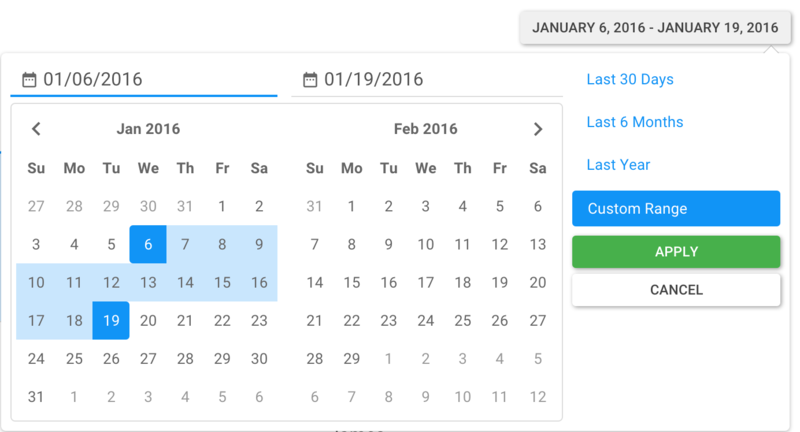 Use the date range tool just above the chart as needed.